About Piraeus International, Inc and the products represented. The information contained on this site applies only to products, services and promotions available in the United States through the Dealer Network of Piraeus International, Inc. an authorized Maytag Trade Partner. Our goal for the last decade and a half has been to offer a full line of products for the 220 volt consumer buying his or her product right here in the United States. It is clear that the consumer we specialize in prefers more reliable product so that when they return to their country of destination, they can feel the same as they do when in the U.S. They feel comfortable with the products, the reliability, the technology, as well as the safety minded manufacturers who offer products in the United States. It is also certain that our consumers will buy their items here in the U.S., and that all of their purchases will originate here as well. 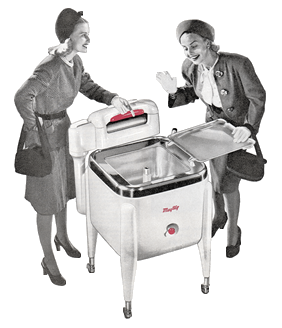 Whirlpool Corporation delivers some of America’s most recognized and reliable brands to the consumer. Maytag is one of those quality brands. Whirlpool is the Leading Brand of Choice, with Maytag as its leader in innovation, technology and durability. With superior efficiency and outstanding performance the Maytag branded product remains at the top of its class. Maytag branded appliances give busy families the power to tame their to-do lists. How? With thoughtful features designed around the goal of minimizing time and effort spent, while maximizing energy and water saved. Speaking of goals, the Maytag brand is the right choice for motivated people who do a lot with their homes, lives, careers, hobbies, communities… the more, the better. But should it all begin to feel too much, these same people know when enough is enough. Which is why they also strive for balance, control and the smart use of precious resources. It’s the brand’s most efficient kitchen suite ever, bringing sustainable performance to refrigeration, cleanup and cooking. Whether in the kitchen, laundry room or elsewhere in the home, Maytag appliances are a stylish ally to productivity and high standards. We are pleased to bring you a variety of products for your home and kitchen including a variety of stainless steel to select from. Maytag's Refrigeration line, Laundry Products, and overall Kitchen Products can overwhelm any buyer looking to upgrade their home appliances. From French Door Refrigeration, Top Loading Commercial Grade Washers, with matching Super Capacity Dryers, Maytag has it all. In fact their new Double Drawer French Door refrigerator with an intelligent outside ice dispensor brings the latest concept to real life. Look for the NEW Maytag Bravos Washer to revolutionize the Top loading washer industry. It uses 71% less water and 69% less energy, making it the most efficient Super Capacity Top loading Laundry System. In the 220-240 Volt line-up, this will change the way consumers all over the world will think about Top Loading Laundry. To view all of the New and Exciting Products, visit www.mi220.com.